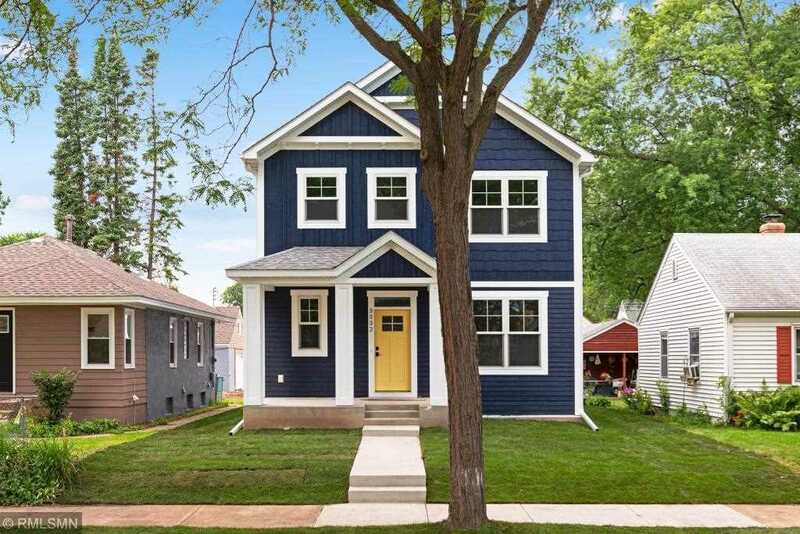 Another Dream Home by Dream Homes Inc.. Open layout with all the desirable ammenities only blocks from the river, Minnehaha Academy and Minnehaha Falls. Heated floors, hardwood flooring, enameled cabinetry and trim work, custom tile work, 9' ceiling clearance on the main floor and basement, LED lighting, and unsurpassed attention to detail. Builder financing construction. Commit today and pick all your finishes for Spring 2019 occupancy. Act fast on this rare opportunity! I was searching for a Property and found this listing (MLS #5024463). I would like to schedule a showing for 4444 43rd Avenue S Minneapolis, MN 55406. Thank you! I was searching for a Property and found this listing (MLS #5024463). Please send me more information regarding 4444 43rd Avenue S Minneapolis, MN 55406. Thank you! Listing provided courtesy of Luke Team Real Estate. MLS # 5024463: This property at 4444 43rd Avenue S, Minneapolis, MN 55406 is located in the Hiawatha subdivision and is listed for $579,900. MLS # 5024463 has been on the market for 159 days.